Russian journalist and economist Alexander Sokolov is facing prison time for his activist and journalist investigations. Source: Rot Front. Since November 2016, the corridors of Moscow’s Tverskoy district court have been filled with elderly citizens, loudly discussing conspiracy theories, the fate of the Soviet Union and the significance of Stalin. Waiting outside the courtroom, they exchange comments with officers of the court before finally being allowed inside, when they promptly occupy all the seats. Two tall women, dressed in their prosecutor blues, follow them into the court, where three men — Kirill Barabash, Valery Parfyonov and Alexander Sokolov — are standing trial. Yuri Mukhin sits next to them, and this is the case against “Army of the People’s Will”. Mukhin is a prominent political writer, who began his career back in the early 1990s. In 1995, he began publishing the Duel newspaper, which, in its various iterations, took Stalinist and anti-Zionist approaches to Russia’s political and social problems. Later, Mukhin’s most active followers joined his organisation “Army of the People’s Will” (AVN), which sought to, among other tasks, enforce the direct responsibility of Russia’s politicians to the people: AVN tried to conduct a referendum on changes to Russia’s Constitution permitting public officials and parliamentarians to be punished, should the people wish it. It’s completely legal to want a referendum, but in 2010 AVN was declared an extremist organisation and banned. In effect, this court decision meant that any further activity by AVN was subject to criminal prosecution. At one point, though, an initiative group on conducting a referendum (under the name “For responsible authorities”, or ZOV) was set up in parallel with AVN — this group had the same basic idea and the same people behind it. If you compare the leaflets they published, the symbols they used and their demands, these two organisations were similar to the point where you couldn’t tell them apart. 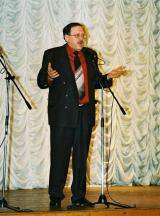 Yuri Mukhin, speaking in 2009. Source: Denis Lobko / Wikipedia. You can interpret Mukhin’s clear intention to continue the activities of AVN under a new guise in various ways. The officers of the Moscow Centre for Combating Extremism and police investigators interpreted it clearly, however — and in line with Article 282.2 of Russia’s Criminal Code (“Continuing the activities of an extremist organisation, banned by a court decision”). In summer 2015, the Russian security services searched apartments belonging to members of the organisation, and detained Mukhin, who was sat in his trunks on a Crimean beach at the time. (Mukhin, who admires the USSR, supported the annexation of Crimea in 2014.) Two of Mukhin’s followers, Valery Parfyonov and former military officer Kirill Barabash, also wound up in custody. Enter Alexander Sokolov, a journalist for leading Russian politics and business news agency RBC — and a strange addition to this cast. Just before his arrest, Sokolov, who covered Russia’s state corporations, published a lengthy investigation into corruption at the Vostochny cosmodrome, a flagship project for the Kremlin. It soon became clear that Sokolov does have some past involvement with Mukhin and his organisation — though, truth be told, it’s not clear how closely he really knows them. The criminal case assigns Sokolov the role of administrator for the initiative group’s website, which apparently promoted extremist materials online. Indeed, the final prosecution documents devote only a single sentence to Sokolov. 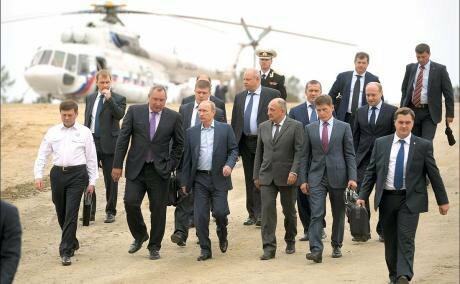 Vostochnyi Cosmodrome, visited here by Vladimir Putin in September 2014, has been plagued by wage arrears and allegations of embezzlement at the subcontractor level. Source: Kremlin.ru. During the investigation and trial, the RBC journalist has insisted that he left his activist days behind him in 2013, when he defended his PhD and began working as a journalist. Sokolov’s dissertation focused on the inefficient use of funds during projects carried out by some of Russia’s major state corporations — Rosnano, Olimpstroi, Rosatom and Rostec. The management of Rostec, a powerful state corporation that is closely allied to the Kremlin, studied Sokolov’s work — and, according to the journalist, they were not pleased with its contents. Sokolov insists that he was arrested because of his journalistic and research work. Of course, the investigators knew that Sokolov’s views and acquaintances have changed. He himself could have tried to put some distance between himself and the strange Stalinists he’s being tried with, but he didn’t surrender his former comrades — even when they called themselves “citizens of the USSR” and spoke about the emergence of a fascist regime in Russia. The trial, which is due for sentencing on 10 August, has been long and difficult: hours were spent discussing absurd petitions raised by the defendants; dozens of requests for the judge and prosecutors to recuse themselves; a vocal support group that, on occasion, came to (minor) blows with officers of the court; the judge’s voice often rising to a shout. Prior to the pleadings, when the prosecutor’s office asked for Sokolov to be sentenced to four years in general regime prison, Russia’s independent Union of Journalists published an open letter, in which 282 signatories (after the number of the article of Russia’s Criminal Code) called the case against the journalist “uncivilised”, and requested it to be closed. The Memorial Human Rights Center has declared Mukhin, Parfyonov and Sokolov political prisoners. To assert that the charges against Alexander Sokolov are connected with his journalism would be an exaggeration. What’s more important here is the fact that a journalist is being prosecuted for his activist past. Nevertheless, Russian law enforcement has long worked to restrict freedom of expression in society — the numbers of criminal cases for reposts on social media and offhand comments on blogs speaks to this. Russia’s fight against “extremism” — which is, on the whole, the fight against freedom of expression — is being conducted so successfully that anyone, even someone who believes in utopia, can wind up in court. 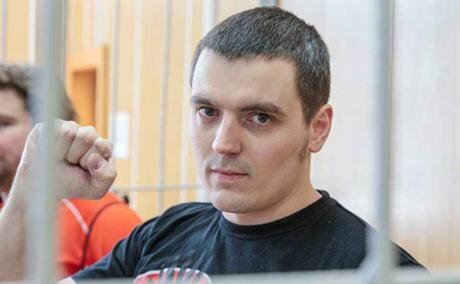 Update: on 10 August, Alexander Sokolov was sentenced to four years in prison colony on extremism charges, alongside Kirill Barabash (four years), Valery Parfyonov (four years) and Yuri Mukhin (four years conditional sentence). The European Court of Human Rights has stated it will examine the case against Alexander Sokolov.